Superdrug has opened a pop-up shop in London’s Shoreditch Boxpark called The Little Vegan Pop-up Shop by Superdrug. This is to appeal to the growing customers who are on the search for vegan and cruelty free beauty products. Located in Boxpark’s shipping containers, the 18.5 sq m pop-up is open to customers for three months offering thousands of products under their own label. 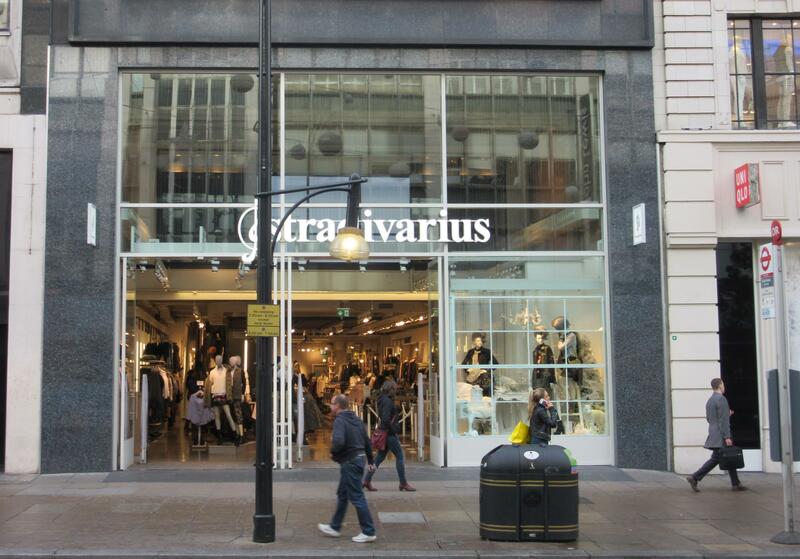 Stradivarius, the international fashion and accessories retailer from Spain has opened their first store in Wales. The 5,200 sq ft unit can be located opposite H&M on the Upper Grand Arcade offering their forward-thinking clothing, footwear and accessory products. They brand now have stores in over 60 countries from Morocco, Mexico, Turkey and many more. Britain’s largest book chain, Waterstones, has been acquired by the hedge fund Elliott Advisors for an undisclosed sum. The chain has over 250 stores in the UK. James Daunt, chief executive of Waterstones since 2011 has assured no closures or job cuts are planned as a result of the sale. Elliott Advisors has a reputation as a no-holds-barred activist investor and they look to grow the brand to new heights. Philip Bier, the retail entrepreneur who dominated the UK high street with Danish brand Flying Tiger is readying the launch of a new children’s clothing and toy chain. French brand ÏD Kids will open in London next month in the Southside shopping centre in Wandsworth, South West London. Chinese company and owner of Hamleys C.banner will be taking a 51% stake from the current owner of the 169-year-old department store chain, House of Fraser. 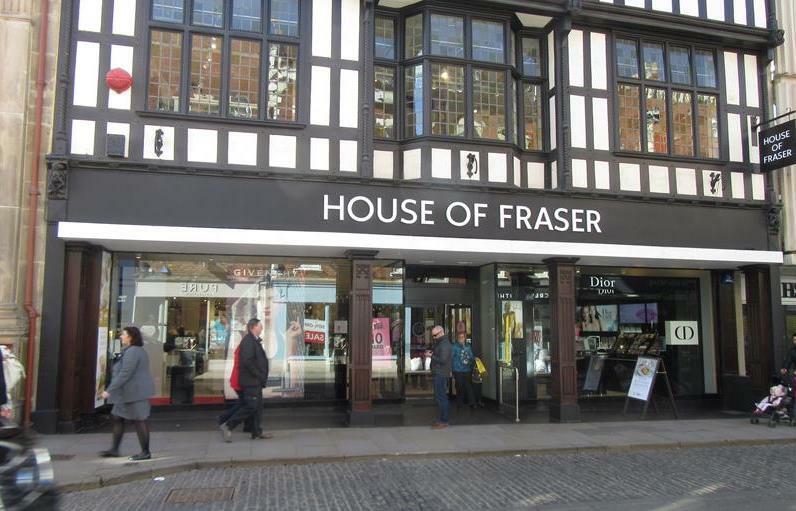 House of Fraser have over 50 stores, 6,000 staff and 11,500 concession staff. It was confirmed last week that House of Fraser has applied for a CVA deal in a bid to save the brand. It has not yet been confirmed how many of the 59 stores will close. House, the Australian homeware furniture shop brand opened their first UK store at Westgate Oxford in April. A further two sites will open in May in The Lexicon in Bracknell, and in the Meadowhall Shopping Centre in Sheffield. While stores at Norwich and Cribbs Causeway will open before the end of their financial year in June. At the end of April it was revealed that Sainsbury’s and Asda –owned by US giant Walmart -are in ‘advanced’ talks for a merger between the two companies. As the second and third largest UK supermarkets, combining the two would present a portfolio of around 2,800 stores and would represent 31.4% of the grocery market, putting them ahead of the current market leader, Tesco. The deal would be worth £10m and at the moment it is not thought it would lead to store closures. It is thought that the two brands will remain as Sainsbury’s and Asda. For more information on this deal, take a look at our infographic on the merger. Iceland announced it would remove palm oil from all of its own label food. This follows concerns that palm oil is one of the world’s biggest causes of deforestation. It is the first UK supermarket to make this commitment. Waitrose will be removing all disposable coffee cups from its shops by the autumn, showing their commitment to plastic and packaging reduction. The Co-op has revealed plans to ditch its plastic water bottles and switch to a ‘cloudier’ part recycled material, which could prevent 350 tonnes of waste a year. The bottles will be 100 per cent recyclable and will be used for all Co-op’s own brand waters by the end of 2018. 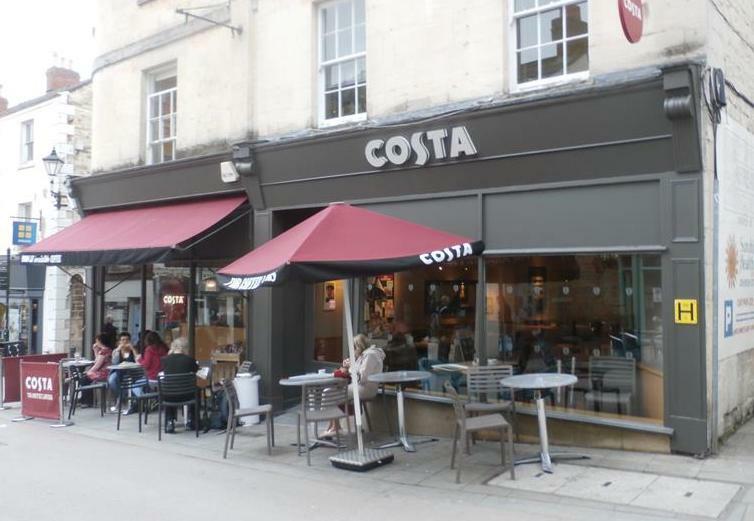 UK hospitality company Whitbread has confirmed that Costa coffee chain will be spun off from the business within the next two years. They are set to separate its hotel business Premier Inn from its Costa coffee chain in a bid to boost the Café brands competitive edge. The demerger will mean the 2,000 + coffee shops, as well as the 1,000 + outlets overseas will be floated and listed as a separate independent business. However, Whitbread will remain the owner of Premier Inn as they focus on building the brand in Germany at the same rapid pace they did in the UK. A new UK study reports three coffee shops are opening daily across Britain versus 21-25 pubs that are closing every week. The new study shows that 39% of Brits are drinking more coffee than they did 12 months ago and 18% visit a coffee shop at least a day. This growth sees the coffee shop industry pouring £9.6bn into the UK economy, a steamy increase of 7.3% since 2017. There are currently 24,000 coffee shops across the UK, combining both independents and the big chains such as Starbucks, Costa and Caffe Nero. Whereas traditional pubs are suffering badly with just under 50% having closed since the 1970’s. Assuming this parallel trend continues, coffee shops will overtake pubs by 2030 according to research conducted from The London Coffee Festival. 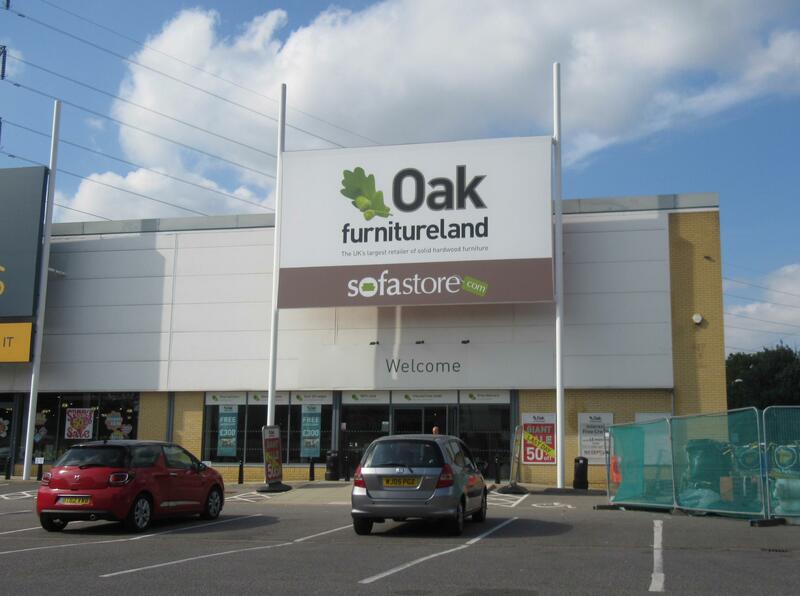 LaSalle Investment Management, on behalf of the Greater Manchester Pension Fund, has acquired Colne Valley Retail Park in Watford for £52.5m at a yield of 5.4%. The shopping area was purchased from Evans Randall Investors and First Alliance Properties. The retail park covers 92,497 sq ft and is home to retailers including DFS, Carpetright, Oak Furniture Village and its newest tenant, Natuzzi. It is located around half a mile from Watford town centre. Anglia Retail Park in Ipswich will be fully let for the first time in years following the arrival of a new Dunelm store. It will open by the end of the summer and will take a double unit that will include the former Mamas and Papas unit. In Stoke-on-Trent, plans for a small new retail park have been revealed. The site in the Sandyford and Goldenhill area has been derelict for a number of years, but the Muller Property Group now hopes to build a drive thru coffee shop, Subway and convenience store on the land.